Some CF Moto Service, Owner Manuals PDF & Wiring Diagram are above this page. 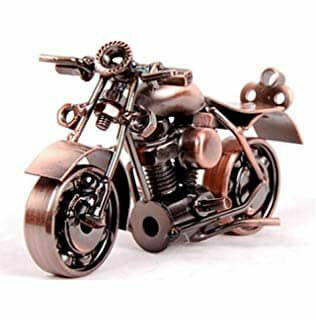 CFMoto is a brand of motorcycles manufactured by Zhejiang CFMoto Power Co., Ltd. Headquartered in Gangzhou, China. 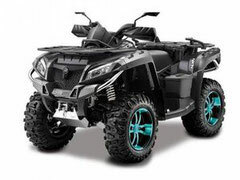 In addition to motorcycles, the company manufactures ATVs, scooters, engines, boats, as well as accessories, spare parts and equipment. The company CFMoto was founded in 1989 as a small workshop for repair, and then making engines. At first it was based in the garage of one of the founders, and only when things went uphill, moved to the production room. Motors of their own design began to be manufactured in 1996. The first motorcycles appeared in 2000, and the quad bikes in 2004. Unique to the Chinese manufacturer of motorcycles is that CFMoto focuses on the production of motorcycles, not scooters, and also focuses on the export market, rather than on the domestic one, whose capacity is estimated at 14 million motorcycles a year. The brand was able to attract attention to itself in the international arena through participation in sports competitions. The development of a 650-cc engine helped CFMoto to take its place among the world's manufacturers of road motorcycles. Not the last role in this played two successful models: 650NK and created on its basis 650TK. The appearance of motorcycles almost completely repeats the model Kawasaki ER-6n (Manuals PDF page). Although the models lag behind the Japanese competitors in quality, but represent a major breakthrough in the field of manufacturing motorcycles for the entire Chinese industry. 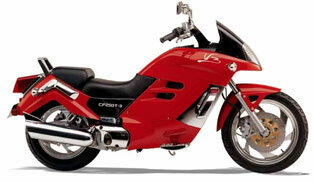 The 649-cc two-cylinder engine of the CFMoto 650NK model with four valves per cylinder delivers 70 hp. at 8500 rpm and 62 Nm at 7000 rpm. The power unit is paired with a six-speed cassette-type transmission. 650NK received a liquid cooling system, electronic fuel injection Ducati,(PDF Manuals page) electric starter, front telescopic fork and cast alloy wheels. The motorcycle accelerates to 180 km / h.
Built on its basis, the CFMoto 650 TK in 2014 set a world record: it overcame 34,150 km without stops. This motorcycle is also equipped with a two-cylinder four-stroke in-line engine with a liquid cooling system of 649 cubic meters. see Its power at 7000 rpm is 61 hp, and the maximum torque is 56 Nm. Easy and practical motorcycle CFMoto 150 Leader with a 150-cc engine is ideal for novice motorcyclists and driving in urban conditions. Its single-cylinder four-stroke engine received a system of liquid cooling and produces 12 hp. at 9000 rpm. The maximum torque is reached at 7000 rpm and is 11.5 Nm. Possessing good "draft" properties, the motorcycle can accelerate to 100 km / h and sustain a load of 150 kg. In addition, it is equipped with an electric starter, an exhaust pipe made of stainless steel, wide 18-inch tires, a faceted reflector on the front headlight, stylish oval rearview mirrors, high-strength shock absorbers and a multifunctional instrument panel. Read - COBRA ATV Manuals PDF & History.